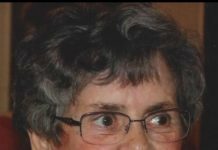 Shrewsbury – Grace Olga (Charlton) Macdonald, 83, loving wife, mother, grandmother and great-grandmother, passed away at her home with her family by her side Wednesday, Oct. 26, 2011, after a brave struggle with cancer. Born in Boston and raised in Roslindale, she was the daughter of John and Hulda (Matson) Charlton and had resided in Shrewsbury for the last 35 years. She was a member of the First Congregational Church of Shrewsbury for 37 years. 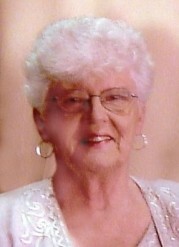 She is survived and will be greatly missed by her husband of 58 years, Alexander W. Macdonald; three children, Gary Macdonald and wife Diane of Hyannis, Kimberly Bollus and husband Jack of Holden, and Deborah Macdonald of Shrewsbury; her beloved grandchildren, Dina, Lauren, Derrek, Briana and John; her great-grandchildren, Kyle and Amani; her sister, Ethel Jennings of York, Maine; and several nieces and nephews. She was predeceased by her brothers, Bobby Charlton and Billy Charlton. Mrs. Macdonald&apos;s life revolved entirely around her family, from trips to Nova Scotia to spending time with relatives, yearly ski trips that started 36 years ago with a constantly expanding family, summers at the beach, to countless family cookouts and holiday dinners. After retiring from a clerical position at Shrewsbury Town Hall, she spent immeasurable hours with her grandchildren and great-grandchildren, who have the fondest of memories of her. She was always there for you when you needed a listening ear, loving hug, gentle touch, or something baked warm from the oven. To say she was a beautiful person doesn&apos;s even touch the surface. “Life is not measured by the number of breaths we take, but by the moments that take our breath away” (author unknown). She was the one who took our breath away. The family would like to extend a sincere thank you to UMass Memorial Home Health & Hospice for their support. A private memorial service in remembrance of Mrs. Macdonald&apos;s Life will be held in the Miles Funeral Home, 1158 Main St., Holden. In lieu of flowers, please send donations to the Pancreatic Cancer Research Fund, c/o UMass Memorial Development Office, 333 South St., Shrewsbury, MA 01545. To share a memory or offer a condolence, visit www.milesfuneralhome.com.